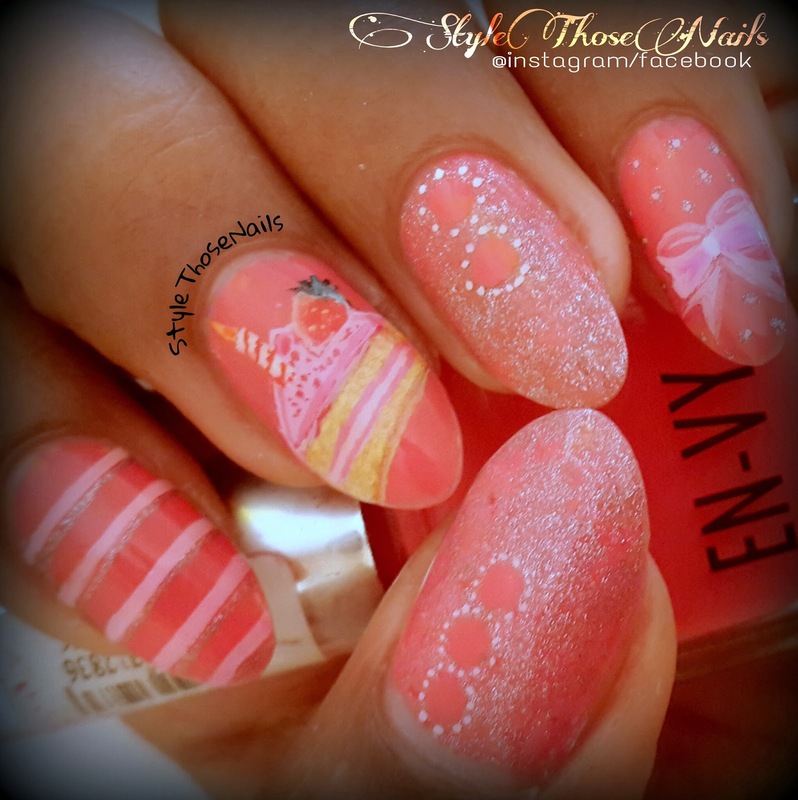 Style Those Nails: My Birthday Nails !! 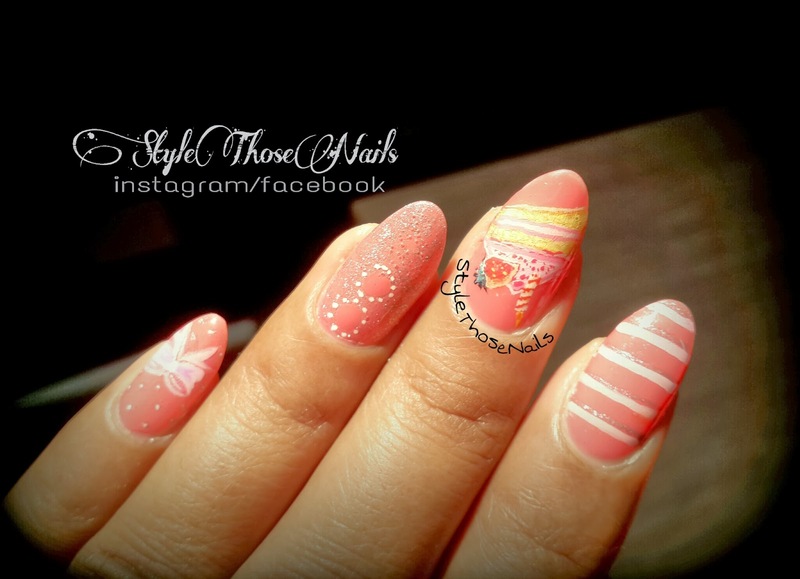 - Cake , Bow and stripes -All free Hand Nail art !! My Birthday Nails !! 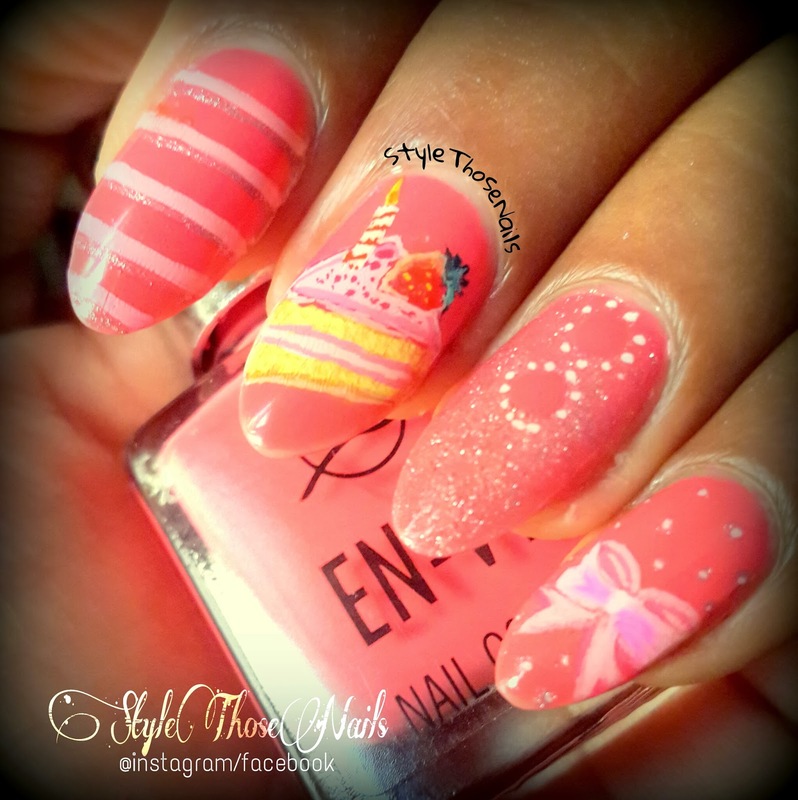 - Cake , Bow and stripes -All free Hand Nail art !! Hey Everyone , How are you all doing? I was quite busy for few days ! But however I took time to do my birthday nails :D. I am so very pleased with them. I was inspired by nailstorming and kay_yee of instagram for cake nail art. So here is mix and match Bday Mani !! I applied a beautiful coralish pink polish from Envy which I will review very soon, as my base color and also used a sand crystal polish from max-touch for ring thumb using a tissue dab method. Bow, stripe and piece of Cake are done freehand using water-based water colors and thin brushes. Over all the manicure came along beautifully as it was in my mind. I hope you will like it too. I am entering this into cute theme of Finger-food Theme's challenge . Check out other cute manicures below !! Please Share your thoughts on this manicure!Your kind words are always a motivation for me !